Newspaper cover featuring twelve people said to be eyeing the Presidency. Americans usually start campaigning for the next election contest almost immediately after the completion of the previous one. Tanzania seems to be moving in the same direction. Although the elections are not due until late 2015, those aspirants who are considering standing for the top job are beginning to quietly mobilise their support. 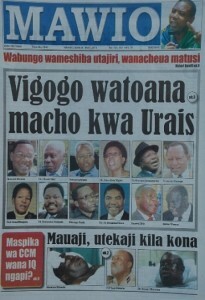 Speculation is now rife in political circles on the issue of who will succeed President Kikwete. Unlike some of his opposite numbers in other states, notably Zimbabwe, he is expected to comply with the law and retire at the end of his second term as all his predecessors have done. A number of prominent figures are expected to compete in the elections. One factor which could become crucial is a long established ‘under­standing’ that, if the president is a Muslim, as is President Kikwete, his successor should be a Christian. President Nyerere was a Catholic, former President Mwinyi is a Muslim and President Mkapa is also a Catholic. As both the Christian presidents have been Catholics the large Protestant community might be wondering when its time will come. Former Prime Minister Edward Lowassa is considered by many as the front runner. He is popular in many areas of the country because of his diligence and active implementation of development projects, especially the ward secondary education project. He is a Protestant and a member of the Tanzania Evangelical Lutheran Church but he was alleged to have been corrupt in the Richmond electricity scandal (see many earlier issues of TA) and has had some recent health problems. The Chairman of the Parliamentary Select Committee which inves­tigated the Richmond scandal, Dr Harrison Mwakyembe, pointed out alleged corrupt practices and gained some popularity as a result. However, most Tanzanians seem less influenced by allegations of cor­ruption and more interested in overall competence in their leaders. Dr Mwakyembe has now taken on the post of Minister of Transport – one of the most demanding positions in government as it includes the rail­ways, roads, airlines and ports with their numerous problems. When he addressed members of the BTS in London he impressed them by his command of every part of his portfolio and his innovative proposals for reform. It was clear that he is intolerant of corruption and inefficiency, although his candid and explicit approach might not be the best way to make friends and influence people if he has higher ambitions. Another possible candidate who is high in the popularity stakes is the former Prime Minister under President Mkapa, Frederick Sumaye. He has the advantage of being a Protestant and is generally considered to be honest. Having been largely absent from front-line politics under President Kikwete, he has recently sought more of a public profile. Samuel Sitta, the Minister for East African Cooperation and former Speaker of the House of Assembly, is outspoken, commands popular support, and is widely regarded as fair and incorruptible. He is a Catholic but his advancing age may harm his prospects. In addition, he does not have the same level of support as his key rivals among the party’s power-brokers and key donors. Former Prime Minister Salim Salim who has held many senior posi­tions outside and inside Tanzania is a Zanzibar Muslim, but he seems to be keeping a relatively low profile. His ambiguous relations with the Isles might be a handicap so far as the presidency is concerned. Current Foreign Minister Bernard Membe seems to be growing in stature and his honesty while leading an observer mission to the recent controversial Zimbabwe election plus his serious criticism of their con­duct, was brave in view of the great esteem in which Mugabe is held in many parts of Africa. Membe is a Catholic. It is to be noted that both Presidents Mkapa and Kikwete were Foreign Ministers before becoming presidents. Dr John Magufuli, Minister of Works, is organising an ambitious road building programme and might be a candidate. For the first time, the charismatic leader of an opposition party, Chadema’s Dr Wilbrod Slaa, is considered by some as having an outside chance of winning the presidency. He won many votes in urban areas at the last election and his party is using the time before 2015 to strengthen its support in rural areas where the government CCM has always been very popular. Dr Slaa is a Catholic. The dynamic campaigner against corruption and Chairman of Parliament’s Finance Committee, Chadema’s Zitto Kabwe is a man with a future but because of an unusual clause in the current constitu­tion is too young to run for the presidency in 2015. Alternatively, this may be the time for a female candidate. Two names are regularly mentioned as among the contenders for the CCM nomi­nation. Anna Tibaijuka is Minister of Lands, Housing and Human Developments, and the former Executive Director of UN-HABITAT, while Asha-Rose Migiro is a former Minister of Foreign Affairs and served as Deputy Secretary General of the UN between 2007 and 2012. She is not currently a Minister but retains influence within the party. By David Brewin (with considerable help from Dr Juma Ngasongwa, the former Minister of Natural Resources and Tourism, later Industry and Trade and then Planning, the Economy and Empowerment. He is not standing for the presidency or for parliament. He says that he is enjoying his retirement). Huge crowds lined the streets, often twelve deep, with warm welcom­ing smiles on their faces. There were also a few articles in the media from some of the professional classes questioning President Obama’s motives in coming to Tanzania. 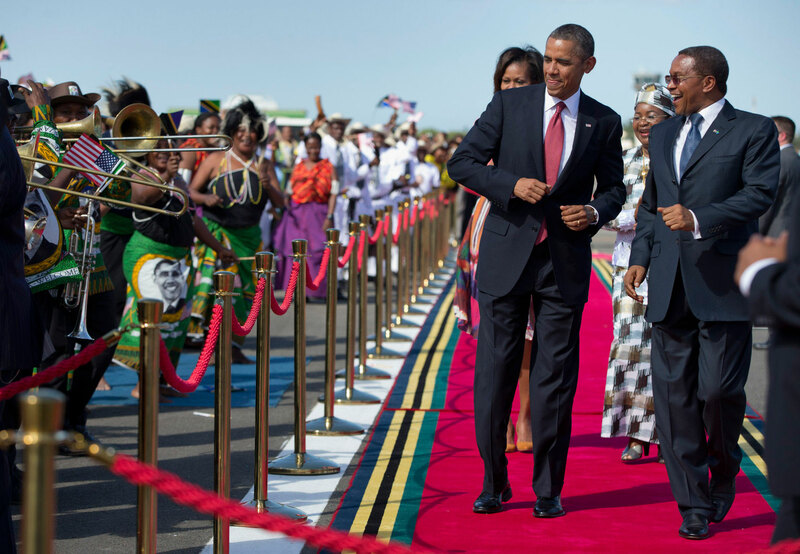 This probably sums up the historic visit by President Obama to Dar es Salaam from June 29 to July 1 accompa­nied by a large contingent of business leaders. And then, by coincidence, another American President was found to be there too. Former President Bush, who had made himself popular in the country by arranging substantial support for a big US-supported AIDS relief programme which had saved many lives. He was attending a conference on empowering African women, organised by an institute he had founded after leaving office. Mrs Bush was holding a summit meeting for African first ladies. And then there was somebody else reported to be on the way from her home near Kisumo in Kenya. 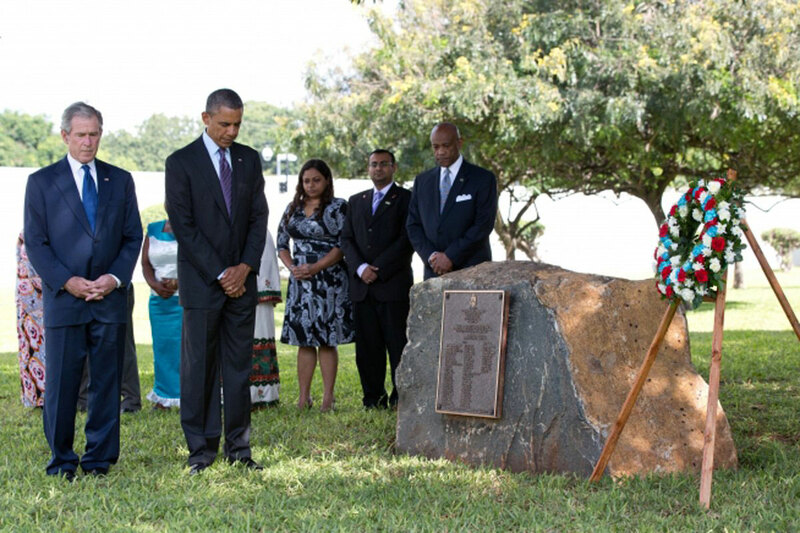 It was Mama Sara, President Obama’s grandmother and the second wife of his maternal grandfather. President Obama in his speeches stressed America’s commitment to improving electricity supplies as well as other aid and investment. At the end of the visit, as the Global edition of the New York Times put it (Thank you Elsbeth Court for sending this) the two presidents stood solemnly together as a US marine placed a wreath to mark the memory of the Tanzanians who were killed in the US embassy grounds by Al Qaeda terrorists fifteen years ago. A new exhibition of traditional Tanzanian art in New York, titled Shangaa is receiving positive reviews from art lovers and critics. It is “sensational” according to the New York Times reviewer, Holland Cotter. Many of the pieces are on loan from German museums, where Tanzanian art has been relatively well-known. Yet the show makes it clear that the colonial history that pro­duced the German familiarity with Tanzanian art was not a happy one. Depictions of slavery, and of the indiffer­ence of slave masters, are among the exhibition’s most striking sculptures. Traditional medicine and witchcraft are another recurring theme. 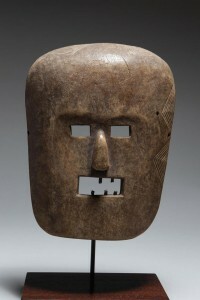 Many of the objects were originally intended for use in healing and divination practices. 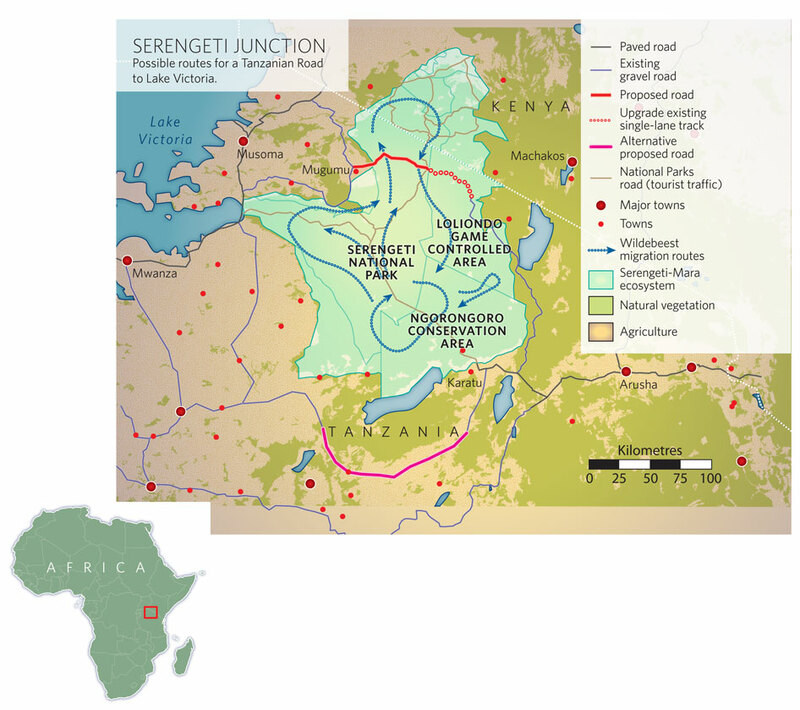 In April the ongoing issue of land use in the Loliondo Division on the borders of the Serengeti National Park came to the fore once more as headlines declared ‘The End of the Maasai’ (Survival International 28 March 2013). This is an emotive issue that combines the themes of the rights of indigenous people, environmental conservation, histori­cal grievances, a perceived uncaring central government (with worse implied), and foreign hunters [see also TA 95,97,105]. The current issue dates back to 1992, when an Emirati hunting com­pany, the Ortello Business Corporation (OBC), owned by the business­man and member of the Dubai royal family Mohammed Abdulrahim Al-Ali, secured the rights to a hunting concession in Loliondo Division of Ngorongoro. However the problem can only be understood in the general context of land use and the displacement of peoples. In 2009, the severe drought experienced in northern Tanzania led to conflict between OBC and the local Maasai communities as the herd­ers endeavoured to water their livestock in an area where access was prohibited by OBC. In the ensuing conflict, a Police Field Force unit restored order with a level of force that resulted in the burning of sev­eral homesteads and accusations of physical and sexual abuse. OBC defended their position by stating that herders are only denied access to the water sources during the hunting season. This runs from July to September, which unfortunately coincides with the dry season. Tourism & Environmental Conservation thousands more who use the grasslands for seasonal grazing, the local communities engaged in vociferous protest. The story has interesting local – and national – political implications. In addition to the 2012 threat to blockade the Ngorongoro Crater (The East African 8 December 2012), one protest took the form of a mass burning of CCM membership cards by Maasai women. This move caught the atten­tion of local CCM officials who, according a BBC report, made the long drive to Loliondo from Arusha to denounce the proposed corridor. The affected communities plan to lodge a legal challenge, but as a previ­ous action from 2009 remains unheard, they are not hopeful. However, on 29 June, Prime Minister Pinda told the National Assembly that the Government had “received complaints from various stakeholders and the people of Loliondo” and would therefore review its most recent decisions regarding the Loliondo land concessions and OBC. (Daily News and http://allafrica.com/stories/201307010357.html). On 1 July the new Tourism Development Levy came into force. The levy imposes a 2% bed night charge on all tourist accommodation. Of even more concern was the proposal to make tourism products and services liable to VAT at 18%. This move had been adopted by Uganda but rejected by Kenya. Fortunately, on 28 June the Tanzanian Assembly also rejected the imposition of the tax, which in one move would have made Tanzania a far more expensive destination (in general) than Kenya – a dangerous move. And finally, on 28 May in the UK, a documentary aired on Channel Four entitled ‘Edward VIII: The Lion King’. The programme was a fas­cinating account of the transition of Edward VIII, in his time as Prince of Wales, from hunter to one of the earliest advocates of African conserva­tion. Working with the famous Denys Finch Hatton, after developing an understanding of the bloody reality of the growing hunting trend, the Prince used his celebrity to draw attention to the increasing threat to the wildlife and integrity of what we now call the Serengeti ecosystem. Which just goes to show that some issues have an enduring importance beyond their local significance. Tanganyika at independence in 1961 had its own government and three years later Zanzibar at its independence also had its own. It was a time of great local and international tension. Tanganyika had had an army mutiny and Zanzibar had had a violent revolution. The East-West cold war was in full swing and both sides were worried about what might happen in Zanzibar, as its frequently unpredictable new President Abeid Karume had invited the Soviet satellite East Germany (not rec­ognised as a state by most of the West) to send experts and establish a presence in the Isles. America and the Western countries were alarmed at the potentially destabilising effect in East Africa of a communist state like Cuba (which still makes trouble for the US all these years later) on the doorstep of East Africa. Both sides were impressed however by the new leader of Tanganyika Julius Nyerere and relied upon him to come up with a solution. Few know precisely what happened during the Tanganyika – Zanzibar negotiations which were conducted personally by the two presidents, but the result was a new Constitution (two, in fact, because Zanzibar had its own) which were ingenious and innovative and have stood the test of time, in spite of years of friction between the two sides. It cre­ated a new nation with two governments called the United Republic of Tanzania. The Union government had wide powers in both countries, and the Zanzibar government, which was not granted sovereign status, had certain powers in Zanzibar. There were two presidents, two gov­ernments and two parliaments (not three, which many thought would be more logical). Nyerere, a man of great sagacity, realised that the new Union was a delicate flower likely to die unless there was a strong central government and the Zanzibaris were given influence and power far beyond what their respective populations (now 45 million and 1.5 million) would justify. Many people on both sides have complained over the years about this unusual set up. But Nyerere insisted over and over again that the Union must remain constitutionally as it was. He said that if three govern­ments were set up this would lead to the end of the Union. All subse­quent presidents and parliaments have followed the same line. Following many expressions of opposition to a continuation of the status quo, as explained in recent editions of TA, the Constitutional Review Commission (CRC), under its Chairman Judge Joseph Warioba, travelled all over the country to ask people what they wanted in the new constitution. Finally, on 3 June 2013, they surprised many by publish­ing a very detailed draft, called the “Mother Plan,” which would totally change many aspects of the existing constitution. The most contentious issue was the future structure of government. The Commission rejected the present two-part government because of “the sensitivities and opposition from both sides of the Union.” It proposed instead a federal union with three governments – a Tanzanian government, a new government described as Bara Tanzania (Mainland Tanzania) and a Zanzibar government. -the rights of minority groups such as hunter gatherers (the Hadzabe and Akiye ethnic groups comprising less than 2,000 people) would be recognised and they would be given representation in governance structures where appropriate. Some concern has been expressed about the omission of many key matters from the draft document. These include land ownership, protection of property rights, health, education, exploitation of natural resources, dual citizenship, participation by people in the affairs of the state, free­dom of the press, religious differences, and the right to information. It is understood however that provision might be made for some of these in the new Mainland and Zanzibar constitutions. There is also the problem that, although Zanzibar has its own constitu­tion which will merely require amendment, a new constitution will have to be drafted for Tanzania Bara, then debated, passed and inaugu­rated, which could be a lengthy process. Needless to say, discussions are going on around the country and the draft might be substantially changed, but space constraints prevent TA from reporting on most of the comments made so far. However, the magnitude of the task facing the government in finalis­ing the constitution(s) is illustrated by two statements made at recent public meetings. The former East African Community (EAC) Secretary General, Ambassador Juma Mwapachu, described the move to have an “autonomous Zanzibar” as a drawback to the East African regional inte­gration process. He said that Vice President of Zanzibar Seif Sharriff Hamad’s statement to the effect that Zanzibaris should regain their citizenship and have full autonomy on international issues amounted to a breaking of the Union. “With such comments I wonder what East African people are going to think or say about the nature of the pro­posed East African citizenship,” he added. The Tanzania Investment Bank (TIB) is restructuring, in a change that will see its agricultural lending function transferred to the newly formed Agricultural Development Bank, while its remaining operations will be run by two distinct subsidiaries. The Finance Minister told Parliament in July that the setting up of TIB Corporate, one of the bank’s new subsidiaries, is in its final stages, and that the lending function of TIB would now be the responsibility of the Agricultural Development Bank. This restructuring has been going on since last November, and is aimed at making the government-owned facility more efficient. The establishment of the new bank is intended to provide short, medium and long term credit to the agricultural sector, which includes lending facilities to fisheries and livestock projects. The corporate structures of the bank have been put in place and government has already disbursed Tsh90 billion ($55.4 million) to enable the bank to start operating. The government and the Bill Clinton Foundation have signed an agree­ment under which the organisation led by the former US president will support farmers and the agriculture sector in the country. The initiative will improve access to better seeds and fertilizers by small-scale farmers. The foundation intends to work closely with the Ministry of Agriculture, Food Security and Cooperatives to ensure that Tanzanian farmers are able to feed the nation and furthermore export their produce to the rest of the world. The memorandum of understanding was signed by rep­resentatives on behalf of government and the foundation with the event being witnessed by Mr Clinton and President Jakaya Kikwete. Serengeti farmers have earned billions of Tsh after selling 2,520 tonnes of tobacco, making the villagers of Kebanchabancha and Nyamakendo the leading tobacco producer in Mara region. Production will increase significantly as hundreds of farmers in the region have started cultivating tobaccos. The Ministry of Agriculture, Food Security and Cooperatives has allowed farmers in three districts to pursue large scale production of the crop. Tobacco farming has been carried out on a trial basis for about three years, and farmers have now been approved by the ministry. Seven Tanzanian soldiers, acting as peacekeepers as part of the African Union-UN mission (UNAMID) in the Sudan, were killed in mid-July in the Darfur region. Unidentified gunmen attacked them while on patrol between the Khor Abeche and Manawashi regions. Seventeen military and police personnel were wounded in the attack. Various witnesses from South Darfur have reported to Radio Dabanga that two UN cars were later seen being driven by members of the gov­ernment Central Police Reserve (nicknamed Abu Tira) and dressed in uniforms with distinctive ‘eagle insignia’ on their shoulders. The government of Sudan blamed the rebel Sudan Liberation Army -Minni Minawi (SLA-MM) for the attack. Other reports said that it was unlikely that Sudan would take any serious action and UN policy appeared to be against opposing the government. Tanzania said it wanted to discuss UN policy as regards peace-keeping operations. According to the East African, angry words were exchanged after President Kikwete suggested in Addis Ababa in May that Rwanda and Uganda should initiate direct talks with the rebel groups which are at the heart of the trouble which has persisted in the east of the Democratic Republic of Congo. Rwanda called Kikwete’s suggestion ‘utter nonsense‘. Tanzania chairs the Southern Africa Development Community’s Peace and Security Council, but Dar’s conflicting obliga­tions to the International Conference on the Great Lakes Region and the East African Community leave it on a collision course with Uganda and Rwanda which are opposed to troop deployment under the UN. Things later cooled down and an international agreement was signed by eleven interested countries. South Africa would be contributing troops to a greatly enlarged peacekeeping force, including Tanzanian soldiers, with increased powers. 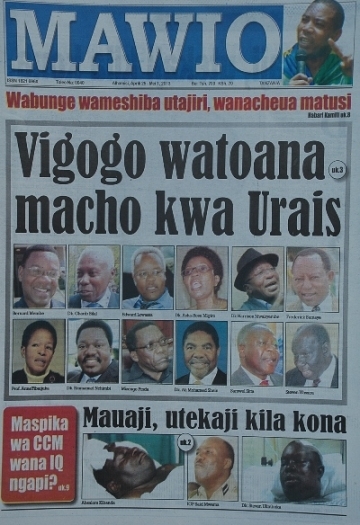 More recently, a war of words has broken out between Tanzania and Rwanda, largely through nationalistic coverage in the respective coun­tries’ press. This focussed partly on President Kikwete’s statements and partly on the expulsion of 7,000 “Rwandan” immigrants by Tanzania, many of whom had been settled in the north-west of Tanzania since independence. 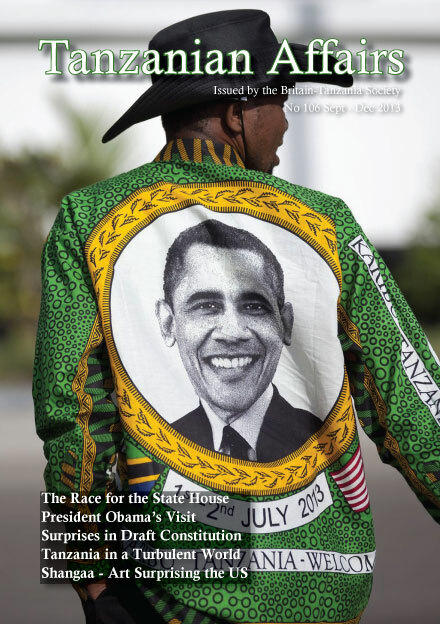 The Rwanda press called them “people of Rwandan ancestry” and the leading English-language paper turned to a personal attack on President Kikwete and his wife. “…Ironically, (while the world outside condemned the action by the army) the African Union has failed to speak aloud against what is hap­pening in Egypt, perhaps for fear of biting the hands that feed it, or simply because of our neo-colonial syndrome. “The truth is very clear: What took place in Egypt is a military coup and we as Africans do not have to be told by the Western countries what to say, at least not the United States…. If Africa cannot stop what is happening in Egypt, then it should strongly condemn as well as suspend that country from the African Union. But precious little has been taken by the African Union to address the worsening situation in Egypt. After five decades of this continent’s independence …. we still cannot speak aloud about our political and economic future. We wait for the so-called ‘masters’ to tell us what democracy is all about, what civilization means and above all, what a military coup means to our own development…. Today, the same people who supported the entire process from the beginning to the end now bless the barrel of the gun to be used against a democratically elected president. Still worse, the same masters now want us to believe that sometimes you can use a military coup to remove a democratically elected government, provided there are opposition members who have demonstrated for a week in protest against the regime. According to a report published in April by the Legal and Human Rights Centre (in collaboration with the Zanzibar Legal Services Centre), human rights violations increased in 2012. Incidents of mob justice among civilians escalated at an alarming rate, with a reported 1,234 people attacked, including persons suspected of theft and witch­craft. Nine law enforcers were also killed by mobs. The survey showed that Mara Region was among the most violent areas with an average of 40 people being killed annually. More than 1,000 school girls were affected by Female Genital Mutilation (FGM) in the region by the end of last year. Prime Minister Mizengo Pinda caused controversy in June when he remarked in parliament that troublemakers should be beaten, adding that “tumechoka – we are tired”. Human rights activists and opposi­tion politicians feared that the Prime Minister was giving instructions to police and other security forces to get tough with protesters, despite existing concerns at heavy-handed police tactics that had already led to several deaths. The Tanganyika Law Society and the Legal and Human Rights Centre filed a petition at the High Court against the Prime Minister. They ask the court to order the Prime Minister to publicly denounce his statement on the grounds that it infringes human rights, the principle of the rule of law, and the constitution. The petitioners expressed their concerns that the police would take this as a lawful order and implement it in the form of arbitrary and extraju­dicial beating and torture of innocent citizens. Three people were killed and 60 were wounded in a bomb attack on a Catholic Church in Arusha in April. The Vatican’s ambassador to Tanzania and the Archbishop of Arusha were in the church at the time. The ambassador escaped unhurt during the attack, which took place as he was presiding over the consecration of a new church in the city’s Olasiti area. Eye witnesses said the attack took place at around 10.40am as parish members and other Roman Catholic believers converged at the main door to witness the opening ceremony. President Kikwete condemned it as a ‘terrorist attack.’ After cutting short his a three-day state visit to Kuwait, he visited the relatives of the three people killed in the blast and later visited the injured at Mount Meru and St Elizabeth hospitals in Arusha. No group admitted to being responsible. A Muslim Sheikh said that a theory that the attacks were the result of religious tensions ‘was becom­ing less certain.’ Arusha Regional Commissioner Magesa Mulongo told President Kikwete that nine people, including three Tanzanians, had been arrested in connection with the attack. Defence and National Service Minister Shamsi Vuai Nahodha said that Tanzania was experiencing the most trying times since independence due to persistent attacks on churches and clerics and threats to peace and security nationwide. To avert a total breakdown of peace, religious leaders and politicians must avoid making statements that might incite the people into violence, he said. Two people died, and several were injured in Arusha on 15 June in a bomb blast at Kaloleni playground, the venue of a Chadema campaign meeting prior to council by-elections. The bomb was hurled on the spot where senior leaders were seated, including the Party’s National Chairman Freeman Mbowe and Arusha MP Godbless Lema. A few days later Arusha was in chaos as police and mobs fought run­ning battles over the meeting that had been declared illegal. Business came to a standstill as riot police fired teargas at Chadema supporters determined to defy an order to leave the scene of the grenade attack. The confrontation between police and the protestors extended to the inner city, mainly targeting people in groups. Other law enforcers appeared to fire into the air to scare anyone trying to get close to Kaloleni. Traffic came to a standstill along the busy Moshi-Nairobi highway as police confronted youths who had barricaded the road with stones. Tundu Lissu, the opposition chief whip and MP for Singida East, and three other Chadema MPs Mustapha Akunaay (Mbulu), Said Arfi (Mpanda Urban) and Joyce Mukya (Special seats) were arrested for addressing an illegal assembly. This town has seen several riots since January following the govern­ment’s announcement that newly discovered gas offshore would be sent through a $1.22 billion pipeline to Dar. At least three people died, CCM offices and houses were set on fire, and journalists were report­edly targeted in the most recent incident in May, shortly after Energy and Minerals Minister Sospeter Muhongo announced in parliament that the pipeline would be built as planned. To help pacify the people, Prime Minister Mizengo Pinda later visited the town to lay the foundation stone for a large cement manufacturing plant providing 1,000 jobs and a production capacity of three mil­lion tonnes of cement annually. The PM urged Mtwara residents to be patient and support government plans which would improve the economy of Mtwara and the nation at large. He also revealed that so far there were over 50 firms interested in investing in Mtwara Region. In parliament several MPs said that the Bomani Commission had recommended that revenues should be shared between the Central Government and the local communities affected, and that the latter should receive 40% of the earnings. About 20 houses have been burnt down in May by protesting cashew nut farmers, the local MP told the BBC. 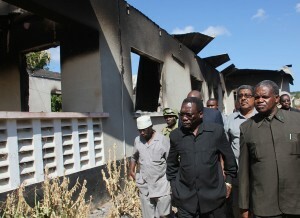 Faith Mitambo said two build­ings at her home in Liwale town had been set alight and that other houses targeted belonged to CCM members. The trouble began after payouts to farmers for their crop were less than the price agreed last year. The protests, involving groups of young men, began in villages and reached Liwale town by the evening. A resident of Liwale told the BBC that there was a sense of fear in the town and police had fired tear gas in the market to stop crowds gathering. Thousands of small-scale cashew nut farmers sell their crops to co­operative societies at an agreed price of TSh 1,200 per kg. Towards the end of last year, the farmers received the first instalment. But when representatives from the co-operative societies went to Liwale to pay out the second and final instalment, the terms had changed. The farm­ers were offered half or less of the outstanding money as the prices had fallen on world markets. Two 18-year-old British girls on holiday in Zanzibar in early August were doused with acid (or other corrosive liquid) by two men on a motorcycle in what President Kikwete described as a “shameful act.” One was seriously burnt and the other had been immersed in the sea immediately after the attack which helped dilute the acid. Both were treated in hospital in Zanzibar before returning to UK. The incident received much publicity in Britain and the Zanzibar authorities immediately offered a reward of £4,000 for information lead­ing to the capture of the attackers. The young women had been working as volunteer teachers in Zanzibar. There were all kinds of theories as to who might have been responsible according to the London Times. The police launched a massive man­hunt, arrested various people including some citizens of the Emirates and Saudi Arabia, but they were subsequently released. Bank of Tanzania (BoT) figures indicate that Tanzania’s exports to China, the world’s second largest economy, increased by nine times between 2005 (Tsh101 billion) and 2010 (Tsh908 billion). The total trade volume between the two countries reached USD 2.15 billion in 2011 and USD 2.5 billion in 2012. Analysts project that trade between China and Tanzania will continue to grow at more than 15 per cent annually. The BoT attributes the increase in trade volumes to receipts from travel and manufactured goods as well as traditional exports. Chinese investment in Africa generally increased from USD900 million in 2000 to USD68 billion in 2010 aided by its ‘China-Africa’ policy – trading with Africa without any conditions. The African Development Bank (AfDB) has approved two loans totaling USD232.5 million for the 157.5-kilometre road project from Arusha to Taveta and Voi in Kenya, crossing the border at Holili (Tanzania), This aims to reduce the cost of transport and enhance access to agricul­tural inputs, larger markets and social services within the East Africa Community. Tanzania will be awarded USD120 million. The project, which is expected to be completed by December 2018, is also jointly financed by the Governments of Kenya and Tanzania. The Africa Trade Fund has extended a grant for a small component for trade facilitation at the Namanga border, bringing the total cost of the project to USD 262.2 million. AfDB’s Regional Director for the East Africa Resource Centre confirmed that the road had been identified in the East African Regional Integration Strategy Paper (RISP 2011-2015) and the East African Transport Strategy and Regional Road Sector Development Programme of November 2011 as a priority. The East African Community (EAC) seeks to improve regional transport infrastructure to encourage economic and social development in the region, promote tourism and foster regional inte­gration, while reducing the cost of doing business by supporting cross-border and international trade. The Japanese Minister for Economy, Trade and industries, Toshimitsu Motegi, announced that Japan had nominated Tanzania to be a major economic hub for business and investment in the African continent. The business community in the country have welcomed this development as a real opportunity to transform Tanzania into an industrial economy. Among the projects lined up for implementation include the replace­ment of the central line railway network with the international gauge, and expansion of the port at Dar es Salaam to increase efficiency in service delivery. With the implementation of the plan, Minister Motegi said the industrial sector contribution to GDP, now below 20%, would more than double. The Confederation of Tanzania Industries (CTI) chairman, Felix Mosha, stated that the governments’ efforts to improve the energy and infra­structure sectors were commendable but not enough. He reiterated that the budget increments in the energy and infrastructure sectors are welcome but remain small compared to the mounting demand for the services to reduce the cost of doing business. The sudden increases in certain charges and duties by regulatory authorities could discourage some potential investors.